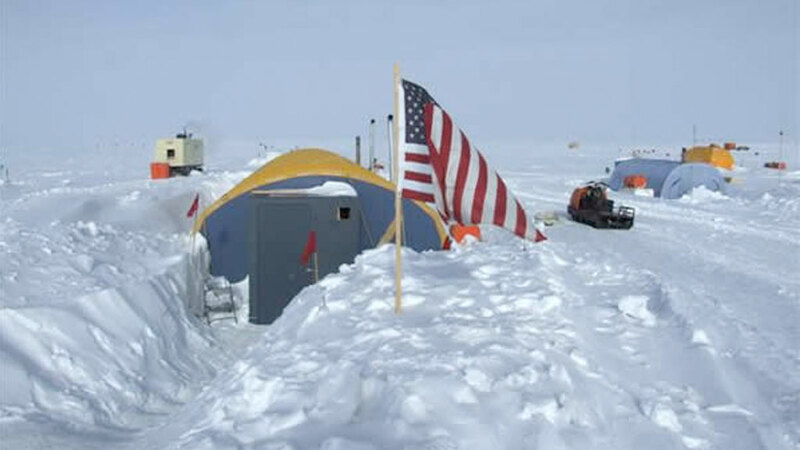 Former Director of the United States Office of Polar Programs (OPP )Dr. Karl Erb discusses the US's invovlement in the International Polar Year (IPY) 2007-2008, funded by the U.S. National Science Foundation (NSF). He also examines the benefits and legacies of the IPY and its vast contributions to human knowledge and understanding of the polar regions. What were the benefits of the International Polar Year (IPY) in the US, and what will be its legacy? First of all, as a contribution to the IPY, Congress provided us with an extra US$ 125 million in funding over two years. However, the IPY funding was not limited to the Office of Polar Programs. It had an impact within National Science Foundation as a whole. We chose to work on IPY on an agency wide basis, which meant including the social sciences, anthropology, economics, biology and geology directorates. So perhaps the greatest immediate benefit was that we ended up with a multidisciplinary approach that, as it turns out, is absolutely critical for studying climate change, as there are so many feedbacks between different components of the Earth system. So when the Obama Administration first came to Washington we were able to talk to them about what a truly integrated science program could achieve. And what about international collaboration? As part of the IPY, we required that scientists outline in detail their plans for international collaboration in their proposals for funding. We reviewed those plans and also checked with other countries that these claims were correct. So I think as a result we have built up collaboration with many, many countries - 27 in total. And these collaborations do not just involve principal investigators. Graduate students will also stay linked with each other, and maybe their students in twenty years from now will still be linked with each other. One of the novelties of this IPY was the focus on education and outreach. How successful was this in the US? In total we spent about US$ 15 million on outreach projects of different kinds. One example is Polar Palooza, which gets together eminent scientists and helps them interact with the general public so that they can get the message across about what science is doing in a manner that is understandable to all age groups. They organized road-shows across the US, and now a number of countries have approached us about doing the same thing. I think it's true of countries around the world that thanks to the IPY, a lot more people know about the Polar Regions, and also about the effects of climate change on these regions. So in terms of education and outreach, I think the IPY has really helped our populations understand what's at stake right now. And will the Office of Polar Programs continue to fund education and outreach projects beyond the IPY? For example, another way in which IPY had an impact was demonstrated when we arranged for high school teachers from the US, Sweden and Chile to take part in an Antarctic research cruise the season before last, and the Chilean teacher in particular interacted with a school in the US where most of the parents where Spanish speaking. It was interesting to observe these children who probably didn't think of themselves as becoming scientists, realizing that they very well could become scientists. So I hope we can continue to do this both on a national and an international basis. This summer we're organizing a week where high school students from the U.S., Greenland and Denmark will be working alongside scientists at our research camp, Summit, on the Greenland Ice Sheet. Another key novelty and priority of this IPY was the inclusion of the social sciences and the inclusion or Arctic communities in Arctic research. Do you think this was successful? Regarding Northern communities, as many as six or seven years ago, we realized that scientists would sometimes go to the North and not take the trouble to engage the communities, so at that time we developed a code of conduct, which stipulates that scientists should meet with the village elders, explain the purpose of their research, and if at all possible, engage them in helping to make the measurements. In the context of the IPY, we provided funding for a project called the Bering Sea Ecosystem Study (BEST) that is actually managed by the Castila Elders Council in Alaska, and we funded them to interact with other IPY funded activities to develop a combination of indigenous and technical approaches to understanding climate change. This proved extremely valuable. In another example, we funded a project that was looking at the flow fluctuations of the Jacobshavn Glacier in Greenland, and the lead investigator discovered that the local fisherman community had data that helped him to understand one of the factors that is accelerating the flow of ice out of the glacier. One of the things everyone is talking about in IPY, is how to go about preserving data, and to my mind, preserving the knowledge in these communities is very much part of this equation. Will this kind of active involvement of Arctic communities continue beyond the IPY? Yes. It's become a way of life for us. In your view, what will be the main science objectives of the OPP beyond the IPY? Our focus on climate change research and its impacts on ecosystems and society will continue, for sure. In terms of science objectives, we have to learn how to predict change on a regional basis, not just averaged over the poles and that will require more advanced models and better input data. We'll continue to work with other countries to build the observing systems that will provide that data. For example we should be working more on the response of permafrost to warming and on methane release as the permafrost melts and softens, bringing in more specialists into the field for this kind of research. Apart from climate change research we also have a major program for astrophysics taking place at the South Pole, which we will probably continue for another ten to fifteen years, but we will also be watching to see how space based astrophysics develops as an alternative to land-based astrophysics. So at the same time as we move into new areas, we may move out of old areas. But this is not to suggest that astrophysics is an old area, of course. Is it fair to say that astrophysics takes up a huge percentage of your total budget? Yes it is substantial. And in fact it may turn out that there's a better site for that kind of work, for example at Dome C (Concordia Station), or at the Chinese site at Dome Argus, in which case I think we would try to make arrangements for our astrophysicists to be able to collaborate on projects there. What about logistics beyond the IPY? I think we need to continue making links with other parts of the National Science Foundation just as we did during IPY, but also with other agencies such as the Department of Energy. Now that policy makers appreciate the importance of reacting to climate change, I think we in the science community have an obligation to help provide solutions. For example, we have just signed an MoU with the Department fo Energy to help reduce our use of fossil fuel, both for our facilities in Greenland and in Antarctica. The Department of Energy has a very strong effort currently taking place on renewable energy sources, and President Obama recently made a speech about 'Re-energizing America' (in both senses of the word). Substituting renewable energy sources for fossil fuel will greatly reduce our logistics challenges. Specifically, right now we are collaborating with New Zealand on a wind power project for their Scott Base and our McMurdo Station. New Zealand is at a point where they need to replace their power plant, so instead of installing new diesel generators, they are providing the capital costs for three wind turbines, and we are arranging the installation. We will then wire the wind turbines into our power distribution system and link it back to Scott Base, which is just two kilometres away. Thanks to this arrangement, Scott Base will essentially get all of its power from wind energy and in addition, the wind turbines will provide about 10% or our own electricity needs. Furthermore, if it passes through Congress, we have a multifaceted plan to do everything from putting better insulation into buildings and consolidating them so that the distance needing to be covered by heating and water pipes can be reduced - leading to less energy loss. And at the South Pole, thanks to 24 hour sunlight during the summer months, the natural thing is solar power. We are looking at different engineering designs to take advantage of the sun as it moves around the horizon, and also to capture solar energy as it reflects off the ice. It's a fascinating engineering project. What percentage of the South Pole's energy needs are you intending to generate through this use of solar power? In the summer we have a temporary summer camp consisting of Jamesway tents next to the station. This serves as housing for up to 200 people (on top of those housed inside the station). Our aim is for solar power to provide all of the electricity needs for this summer camp. In this context of renewable energy, what is your perception of the new zero emission Belgian Princess Elisabeth Antarctic Station that has just been built and inaugurated during the IPY? I think everyone is very impressed. It's a model that I think everyone would like to emulate. However, it hasn't operated in the winter yet, and for us, that's the hardest time to operate. So it will be interesting to see.